Jack London’s cottage, at the state park that bears his name. 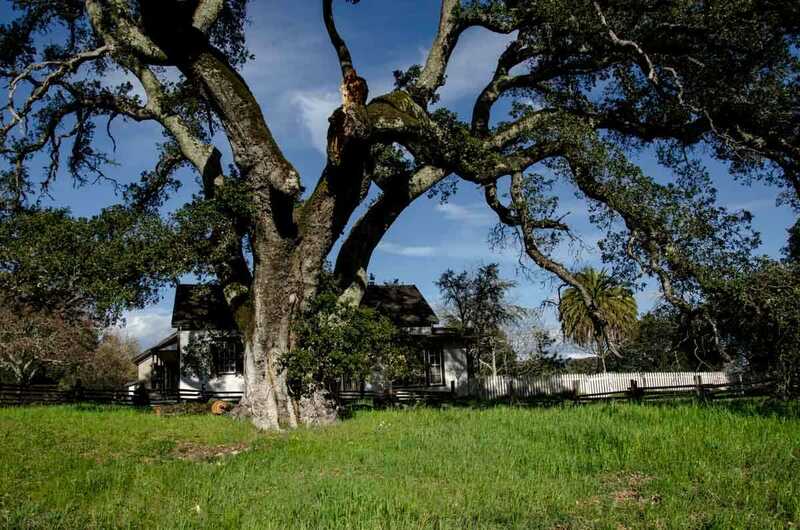 The 800 acre property is both a California Historical Landmark and a National Historic Landmark. When I was in ninth grade, we learned how a good story is constructed. I can still see that diagram the teacher drew on the board: Exposition, Introduction of Conflict, Rising Action, Climax, Falling Action, Resolution. We read three famous short stories and had to dissect them for how they illustrated the structure. O Henry’s The Gift of the Magi, Guy de Maupassant’s The Necklace, and Jack London’s To Build a Fire. My favorite of those was To Build a Fire. I vaguely remember reading a couple of his other books, although I can’t remember exactly which, and certainly not any plots. 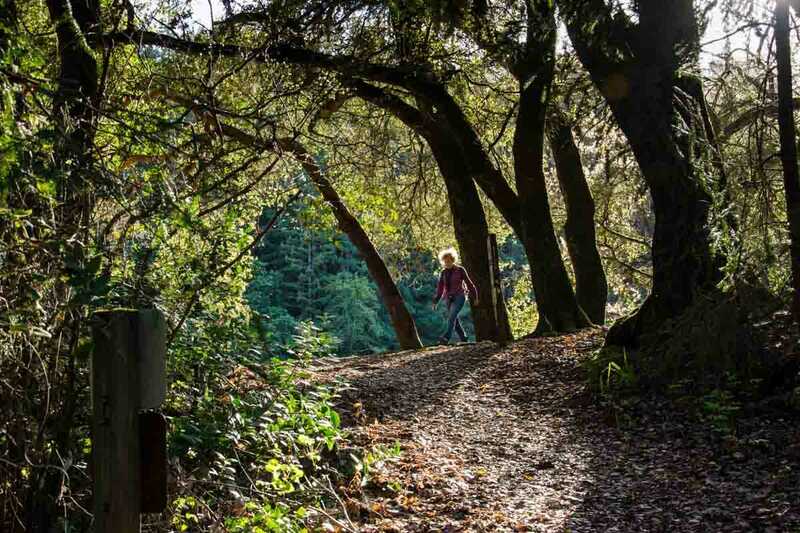 But To Build a Fire has stuck with me for so long and so well, when we had the chance to visit Jack London State Historic Park near Sonoma, California, I jumped at it. The view from the home across the vineyards Jack London planted. The Beauty Ranch, indeed. What, of course, one remembers about Jack London is that he had this great sense of outdoor adventure, and the park which is made out of land he settled on in after his wandering time was over illustrates his life nearly as well as his books. He originally built a mansion called the Wolf House on the property, but it burned down in 1913 before he and his wife were able to occupy it. That put London is deep debt, and he had to go back to writing feverishly to get even. London and his wife lived in a small cottage on the property until his death in 1916. After his death, his wife Charmian built a house she called the House of Happy Walls, which was a smaller version of the Wolf House. She lived there until her death in 1955. It is now the museum and visitor center of the State Park. The grave site of Jack London and Charmian is near the ruins of Wolf House. 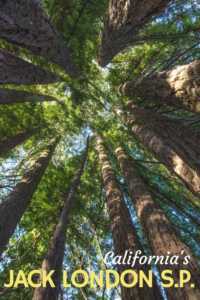 Among the historic buildings, there’s a small cottage that he and his wife lived in, the ruins of the Wolf House, the House of Happy Walls, the vineyards and pastures he rescued from the overuse and erosion–effects of the previous pioneer farmers–and, most impressive, the redwood forest climbing the mountain overlooking the cultivated area. London aptly named his land The Beauty Ranch. 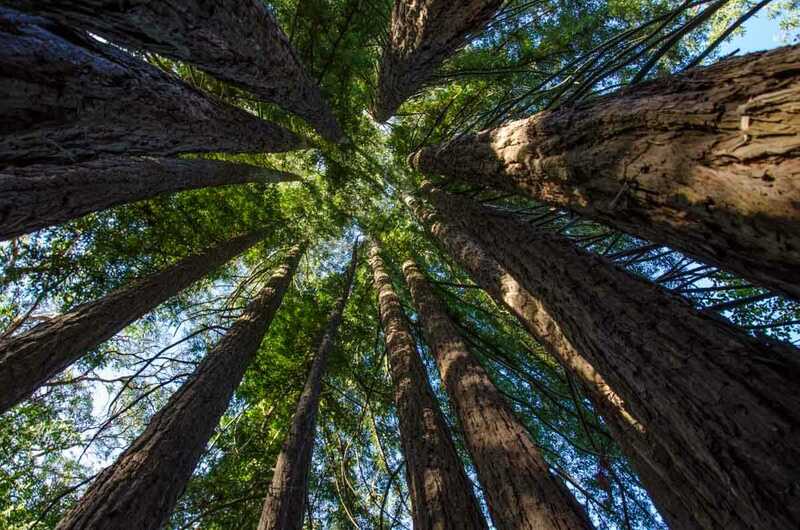 Some of the forest planted by Jack London on his land. The walking path takes you through the entire London farm. After our walk, we had just enough time left to visit the bookshop and page through some of London’s artifacts, including a rejection letter or two. A wonderful afternoon, and much more satisfying than a winery tour, I’m sure. Oh, and while I didn’t buy any of the books in the bookshop, I did download the Complete Works of Jack London (Illustrated) from Amazon. Buying all the editions I wanted from the shop was out of the question, and impossible to pack. I immediately re-read The Call of the Wild. 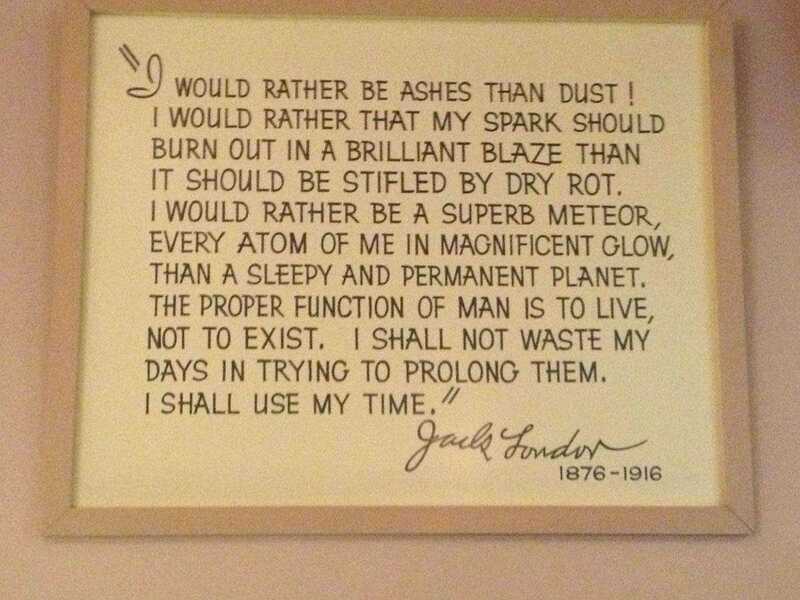 This is, in a nutshell, what made Jack London a great writer. 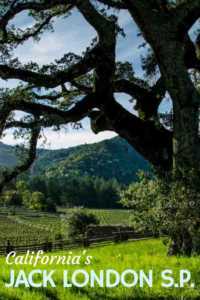 The Jack London Historic State Park near Glen Ellen, California, is about a 40 mile (65 km) drive through the Sonoma County wine country from Napa, California, where we were staying. 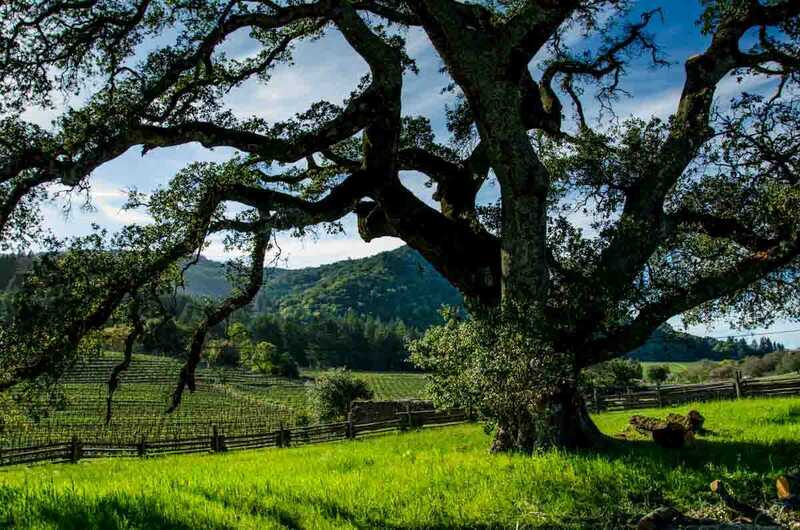 If you get a little tired along the way, there are plenty of wineries you can stop in for a break. This is an update of a post we originally published in 2013. We were very happy to hear that the park narrowly avoided burning in the California wild fires of 2017. Do you want to save or share this post? Use these Pins, or any of the social share buttons above. “I shall not waste my days in trying to prolong them, I shall use my time.” Loved this quote. And loved my armchair introduction into the beautiful Jack London Historic State Park. Coming to you today from #MLSTL and Boomer Travel on FB. Shared on SM. Hi Johanna. It took me a bit to figure out what MLSTL is, but I think I got it. And, yes, Jack London had it right. He didn’t seem to waste any time. The ranch is testament to his effort and, while his life was not long, it was significant. That’s how you prolong days: by making each one count and leaving behind a body of work.